Microsoft has just rolling out Windows 8 and Windows RT devices this month – just in time for the holiday shopping season – and you can depend on Citrix award-winning collaboration, file sharing, remote access, remote support and desktop virtualization services to allow you to work and play from anywhere. As outlined to Citrix's customers and partners at Citrix Customer Conference last month. 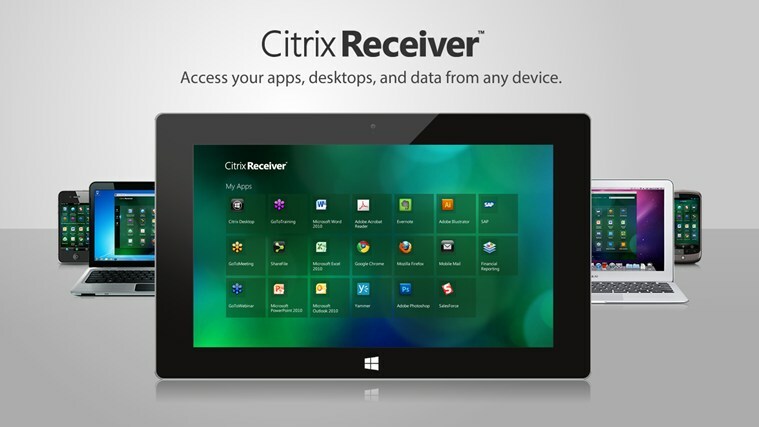 Citrix plans to provide comprehensive support for Windows 8- and Windows RT-compatible services throughout its product line starting now and continuing through into the new year. Joint customers of Windows and Citrix who upgrade to Windows 8 will experience seamless and automatic updates, enabling them to enjoy uninterrupted access to Citrix cloud-based services. By providing immediate and timely support for Windows 8, Citrix can ensure their customers can work where, when and with whom they need to in order to remain productive and provide continuous service to their internal and external customers. This is a new chapter in the partnership with Microsoft and Citrix has been working hard to ensure the new and existing customers can depend on Citrix's products for their remote access, file sharing and collaboration needs. For the past 23 years the two companies have shared a common goal to make it as seamless and simple for their customers to have the best tools at their fingertips to build successful businesses. As more and more organizations depend on mobile devices, apps and cloud-based services versus desktop computers and software, Citrix and Microsoft continue to design innovative solutions that make it easy for our customers to work from anywhere on any device – in a secure and reliable fashion. As mentioned above, this is just the beginning. Citrix is looking forward to sharing more news about their work with Microsoft to create an awe-inspiring experience each and every time the customers use Citrix products on Windows devices. Let TRG International convince you that Citrix's products can be an investment worth making.